A tattoo is always a very personal choice and often people get tattoos to remind them of an aspect of their lives. 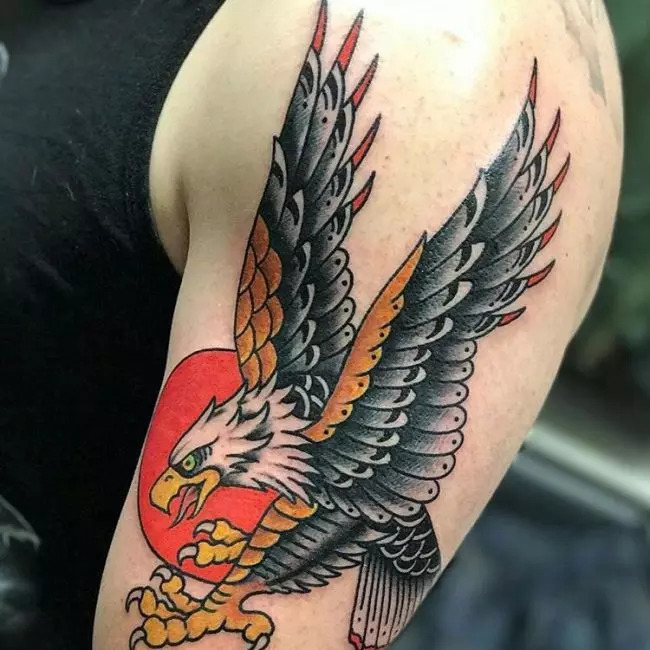 Couples, siblings, or friends may get matching tattoos to remind them of each other while veterans get tattoos to remind them of the time they spent serving their country. In the same way, a rest in peace tattoo is often used to commemorate a loved one who has passed away. This is quite special because unlike a photograph or a tombstone a tattoo is something that will remain with you always. It’s a way of showing honor and respect to the loved one and shows that you will never forget them. It’s a way to preserve your memories and show others how much this person meant to you. Losing someone you love is sad and the pain can be very difficult to overcome. A tattoo like this could help to ease the pain and keep the person and your shared memories close to your heart. Rest in peace tattoos memorialize a loved who passed away and their meaning is simply that. There are different meanings attached to the types of designs and images (which we will discuss in more detail next) but the symbolism is the same – to remember a person you lost. A rest in peace tattoo is one that contains either the name of the person or their initials together with an image and sometimes their date of birth and date of death. These types of tattoos sometimes include a Bible verse, religious symbols, favorite quote, or a special message. Angel Wings– Christians believe that when you die you go to heaven where you spend eternity with God and the angels, and become an angel yourself. In these types of memorial tattoos, the client will often have the person’s name between two angel wings to show their belief that their loved one is now in Heaven. These can range from large wings with lots of detail to small stylized ones. Cross – The cross is a sacred symbol for Christians. They believe that Jesus Christ was crucified on the cross and thus it is a symbol of their faith. Often crosses will be placed on the tombstones of the dead. Crosses are often used in this type of tattoo sometimes together with wings, birds, and flowers. Birds – Birds are a spiritual symbol and can also be used to represent the fact the fact that the loved one is now free. Early Christians also viewed the dove as a symbol of peace and so birds are often worked into rest in peace designs. These could include small silhouettes and more detailed designs. 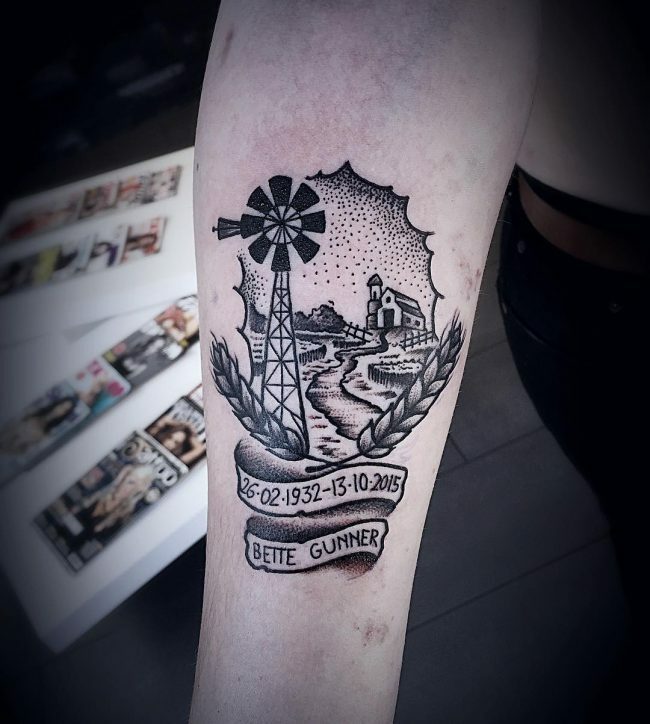 Name and Dates – One of the distinguishing features of this special type of tattoo is having your loved one’s name or initials included in the design. Some people also choose to have the date of birth and the date of death as well. Elegant, slanting font is often used for this information and sometimes the names may be inside a banner. Praying Hands – Many religions believe in the power of prayer – the act of offering thanks and praise to their god by pressing the hands together and praying either silently or out loud. 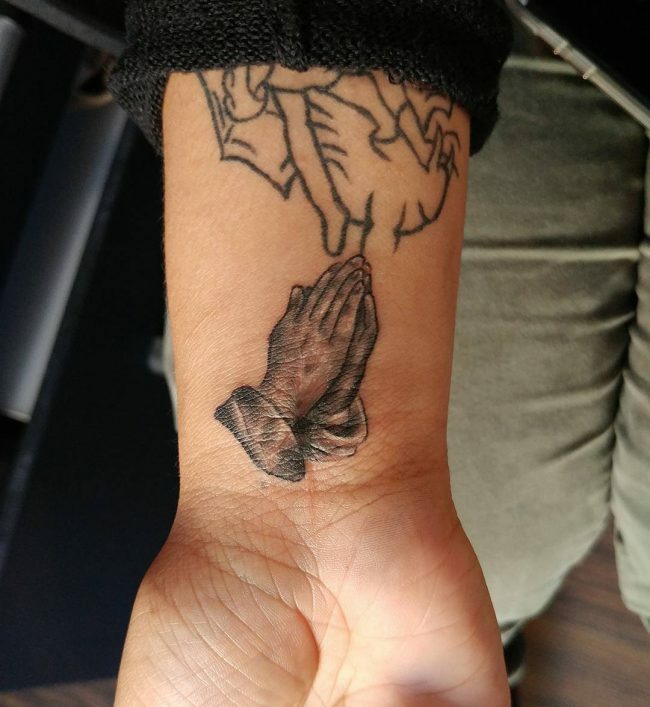 The praying hands are a beautiful tribute to a loved one showing that they will always be in your thoughts and prayers. Portrait – For a more visual reminder, some clients may opt to have a portrait of their loved one tattooed on their body. These tattoos are usually a medium to large size and could be done in color or black and gray. If you are thinking of having a tattoo like this, be sure to find an artist who is skilled in this type of work as it requires a special level of artistic skill. Flowers – Flowers are a symbol of the circle of life and of renewal and transformation. This is why images of flowers, particularly lilies and roses are often included in tattoo designs like this. Flowers are also used as a symbol of love. Gravestone – It may seem a bit morbid to some, but a gravestone tattoo is sometimes chosen by those wanting a commemorative tattoo. Sometimes the gravestone will include a message or just the name and date of death/birth. Footprints – This one is especially sad. When babies die, either in childbirth or soon after birth, the parents will take impressions of their feet and include these in a rest in peace design. While this is very touching, it is also quite heartbreaking. This is an extremely personal tattoo and some clients prefer not to have their design where it is always visible. They may choose their back, shoulders, or ribs for their designs. Others, however, may feel that they want it to be seen and will choose an area where they can always view it. These may include the wrist, upper arm and chest (men are more likely than women to wear a chest tattoo). 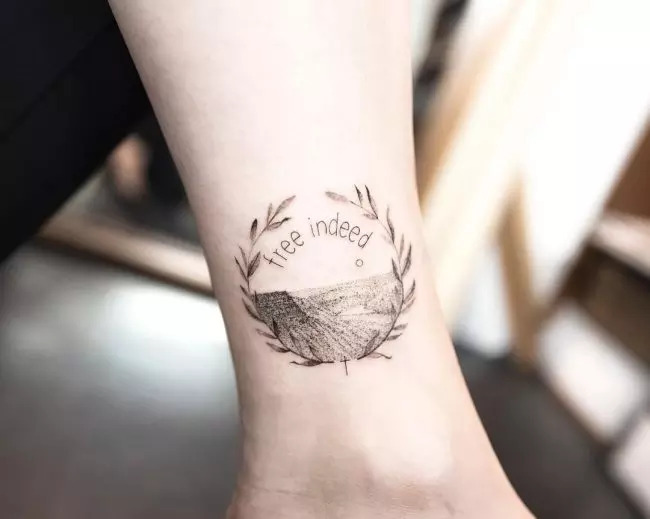 Typically these types of tattoos are quite somber and serious, and for that reason they are not typically very colorful. Rest in peace designs tend to have simple outlines and shading in black and gray, but that doesn’t mean you can’t include color if you want to. It’s your tattoo after all, and your way of memorializing your loved one. Losing someone that you care about is a very emotional event and it can take quite some time to recover. As with any tattoo, you should always give your design thought and you should never rush into a tattoo especially when you are emotional. 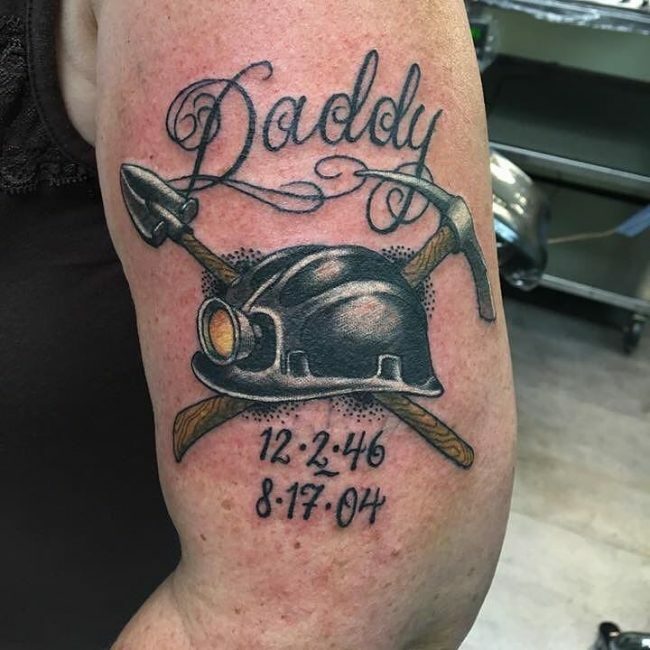 Take time to consider your design and placement and how your tattoo can best represent all your special memories of the person who passed away.